Liverpool Live TV are THE ‘go to’ media organisation in the City with access to the best music, theatre, arts and business events in Liverpool. Liverpool Live TV achieved Community Interest Company status in October 2012 to expand on its established portfolio of content and to support and promote local talent whilst creating media based work experience and employment opportunities. Chief Executive and Creative Director of Liverpool Live TV CIC Jamie McAleny is supported by Company Secretary Jo Nettleton and the Board, entirely on a volunteer basis. With an established reputation for quality content creation for Liverpool Live TV, Jamie has personal drive and ambition along with a real sense of empathy with beneficiaries seeking “second careers”. Jamie has successfully mentored over 40 volunteers with all achieving successful outcomes. Jamie has recently been nominated in the SEN Together Awards in the category “Mentoring Champion of the Year” Liverpool Live TV has worked with high profile customers including Marco Pierre White, Liverpool Music Awards, Liverpool International Music Festival and Hotel Indigo, producing individual commissions to meet and exceed expectations. With access to over 25,000 Twitter followers and 1.8 million website hits in 2014, LLTV provides a marketing network to promote local artists and provides a reputable platform for our volunteers to showcase their portfolio. Our current series, Red Sofa Sessions, is proving popular with performers and viewers and, along with a full schedule of festivals, theatre, sport and events, we have the ability to offer targeted volunteer work experience placements for up to 72 people over 18 months. Liverpool Live TV has always given a platform for young writers, photographers and filmmakers from the local area to develop their skills, improve confidence and boost their portfolio. We have already been awarded grants from the Granada foundation and the Community Foundation for Merseyside for our Red Sofa “On Tour” series. We have received Talent Match funding from Merseyside Youth Association for equipment to support our 42 volunteers in 2015 (targeting 12 NEETS aged 18-24) and Awards for All for developing our activities and workspace. To date, Liverpool Live TV have supported over 40 volunteers in gaining hands on media experience in filming, editing, photography, event planning, production, sound and administration. Supported by additional funding from Awards for All to develop the space into a creative hub to offer an inspiring and creative workspace environment. Most volunteers have gone on to permanent employment, further education or new projects and many stay on as spare-timers to help out transferring their skills to new volunteers. Getting people into work or further education is one of our key objectives and we will continue working closely with the city’s business sector, universities, colleges, charities and social enterprises as we move forward. Another of our key objectives is to offer a free platform for under the radar musicians, producers, actors and artists to promote their talent and events. 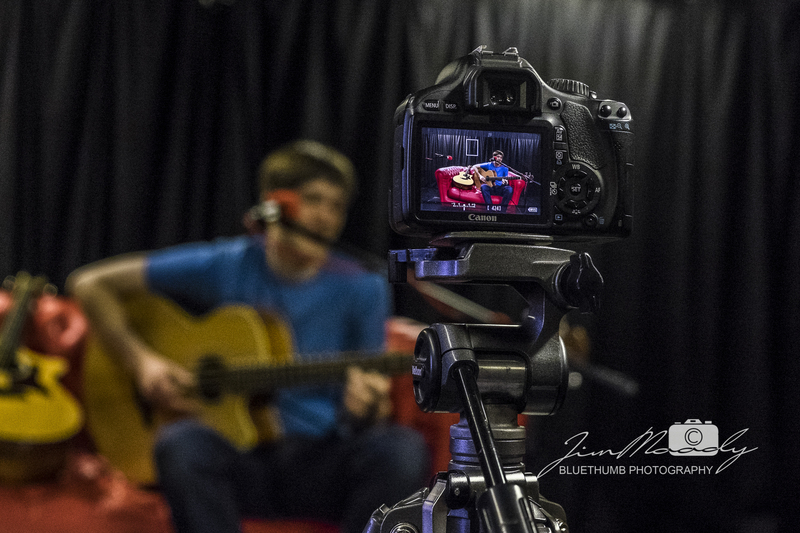 Our own show The Red Sofa Sessions has already had the likes of Miles Kane, James Walsh and Paper Aeroplanes mixing it up with our own local acts such as Dominic Dunn or Eleanor Nelly. We are proud that Liverpool Live TV is an official media partner with Threshold Festival, Farm Feast, Above the Beaten Track, Liverpool Acoustic Festival, Astral Coast and an official supporter of the Liverpool International Music Festival Academy. Advertising: Our unique “supporter package” includes website banner advertising, social media promotion and bespoke opportunities (ie live Red Sofa Session “in the workplace”) are now available. Our previous clients include: Liverpool Football Club, Royal Court Theatre, City of Liverpool College and American Pizza Slice. Cost range from £500 – £1200 per year. Sponsorship: Sponsorship deals are now available for our Red Sofa Sessions series 4 and 5. 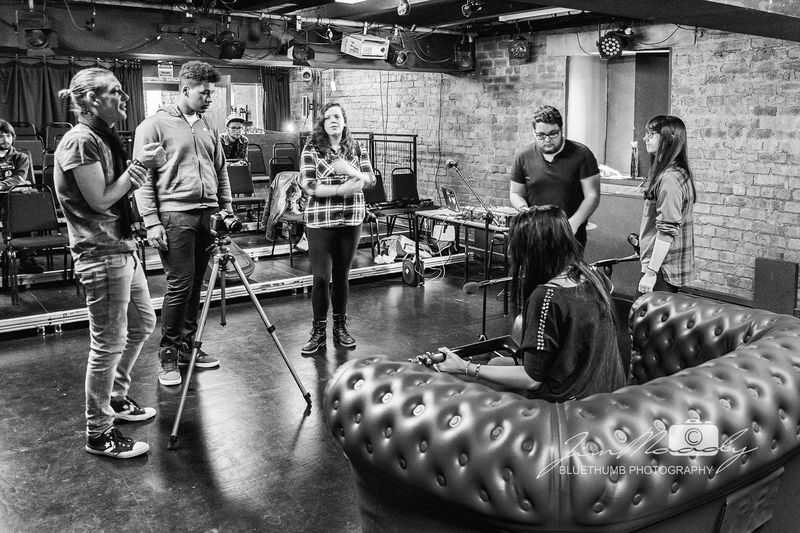 With the Red Sofa Sessions rocketing in popularity, your brand can reach new audiences in the music and media sector. Coupled with our social media presence and network, we can maximise views through partner websites including the NME. Video Commissions: We offer community and corporate video commissions. We have an ever expanding network of local community groups which we work with to help highlight their stories and message to a wider public. We provide a high quality video production service from equipment hire to fully outsourced services with discounted rates for our not for profit partners. Event coverage: Our talented team are experienced in on-location filming and produce high quality content for our event and festival partners. Now with enhanced live streaming capability! 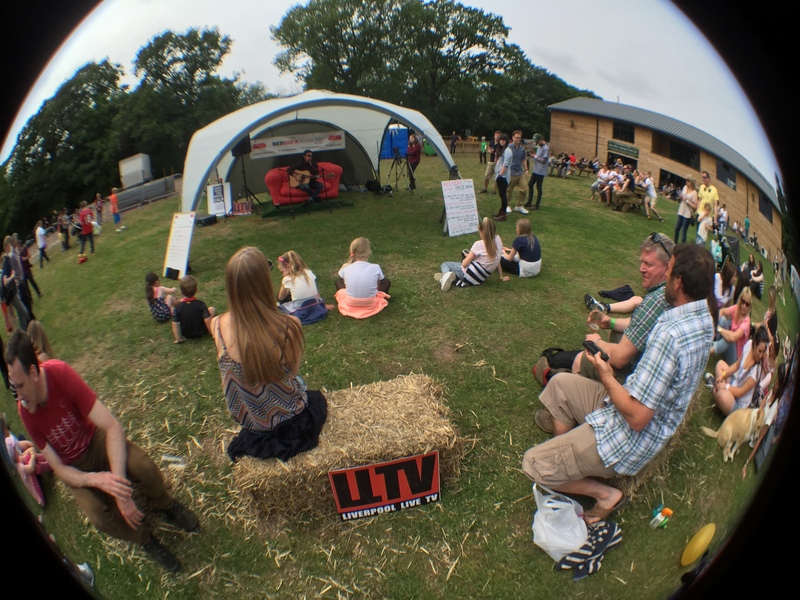 Social Media Marketing: With access to over 30,000 Twitter followers* and 1.8 million website hits so far this year, LLTV provides a marketing network to promote businesses, services as well as local artists, events, music and culture. Our social media presence enhances the corporate business video offer for advertising and marketing of their brands on an increasingly competitive online social media market. LLTV understand this market extremely well and have developed, tried and tested and proved social media campaigns and competitions. If you’d like to talk to someone at LLTV about any of the above Products and Services, please contact us and we’ll get back to you as soon as we can.